I began the week feeling as if Spring break might break me. Monday was a hard day. Both small Bears were tired because of the time change (I found myself waking in the middle of the night at first too). They argued and squabbled and competed for my attention. There was a lot of crying. On Monday evening, I took some time for myself. I really needed it. I went to Kohl's and bought a new candle and stopped in at the library, where I found this excellent cookbook, Susan Feniger's Street Food. Tuesday brought the aggravation of altering my daughter's space-age window treatments. I was feeling better in general by then, though, and morale had also improved among the troops. Wednesday morning was a playdate with five of the GB's friends. Six four-year-old girls twirled, squealed and giggled for hours, while their assorted siblings - none older than eight - played too. There were a dozen children and everyone behaved nicely. The moms had a lot of fun too. Thursday and Friday were beautiful days spent outdoors. Every day this week was beautiful, really. The temperatures reached the upper seventies by the end of the week. The sun shone each day. The park beckoned; we spent hours there. I brought my new cookbook and watched my small Bears frolic. They are almost frantically happy when they have room to run. And run they did, up and down the soccer field until they collapsed on the blanket beside me. I cooked and baked and sewed and crocheted. All of my favorite things. I made salads and pasta and tofu stir-fry and English muffin pizzas. The bread above is a tried-and-true recipe we have made for years, No-knead Dutch oven bread from Mother Earth News. It's simple and delicious. I have made a lot of progress on my granny afghan. I'm making blocks like the one above and joining the blocks with Attic 24's join-as-you-go method. This is my first time joining this way and I love it! This is so quick and easy. My blanket will be finished in the near future, I think (I hope). I can't say the same for my Scrappy Trip-Along project. I still have just three quadrants made. I haven't even cut the fabric for the fourth yet. I've been too busy with the afghan. So many hobbies, so little time. 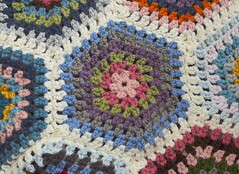 Ah, well...I'd rather the afghan get finished before the hot weather sets in. Sewing is much more comfortable in summertime. Happy house, happy Bears, beautiful week and equally-beautiful weekend ahead. It's easy to feel blessed and at peace when the sun shines, laundry dries on the clothesline and breezes waft through the kitchen as you make good things while wearing a pretty apron. Let's do this every day, all year long. Hello and welcome to all of my new readers and followers! My blog has grown a lot in the past few weeks and it's lovely to have you here. I have now passed 50 posts on my blog! I came across an interesting article this morning which I wanted to share, on the subject of yarn-bombing. Last month, I posted about a yarn-bombing here in Albuquerque, at our local botanic garden. This was my first real-life experience with such an event and while I'm not sure whether I would want to participate, I do find it very interesting that people are doing this. The article is about the Urban Cozy Project and the fiber artist Magda Sayeg, who has done some incredible work in this field. It was a very interesting read. Hi! I love your photos. So bright and breezy. I have never tried the join as you go method.I think you have inspired me to give it a go. So, For that Thank You. It sounds like a really nice week. And I can't believe the weather you are having! Temperatures and blue skies like that are a Big Deal in the UK and are only usually seen in summer and prompt everyone to start getting their barbecues out and talking about heatwaves. Wow! Nice week! Oh and your food photos all made me hungry. That food looks so yum and I'm thinking I definitely need to try that bread! Can't wait to see the blanket once it's done! Loving your photos and so jealous of your blue skies! I've looked at your beautiful photos several times. You really captured a lovely week. It's been sunny here, but still a bit brrr, so am envying your warm weather!! 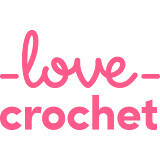 I am glad to have found your blog, and look forward to reading about your family, and your crafting adventures. I hope you and your "bears" have a wonderful spring break! Your photographs are beautiful and have made me pine for the Summer months even more. It's so unbearably cold here in the UK at the moment. Hi just found your lovely Blog, wow sounds like you had a really busy week. What gorgeous food! Everything looks so delicious - and I've wanted to try that bread recipe for a very long time, but I'm worried about our Dutch oven lid...not sure the little handle is oven-proof! I hope your upcoming week is as lovely as your last one! Hi Jennifer, Thank You for your lovely words on my blog, it is so nice to find your blog too. 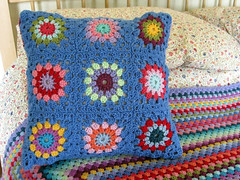 You take gorgeous photos, love your crocheted blanket, takes me back to my childhood as I had a few of those. My son has spring break this week and having both of my boys together all week has been interesting :) It sounds like you had a great week, I love all the photos!